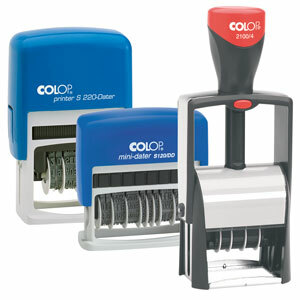 Self inking numberers or traditional numberer stamps used with an inkpad. 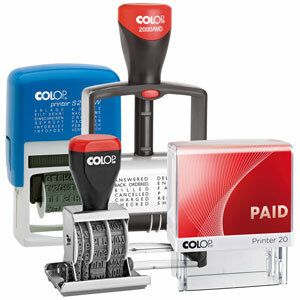 Easily changeable bands from 0-9, with up to 13 bands available. Each band has a blank space. 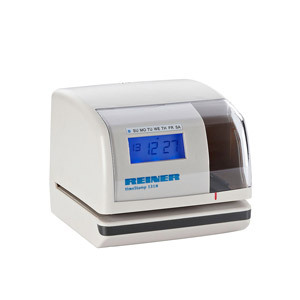 The sturdy construction of Reiner daters and automatic numberers will easily cope with constant and daily stamping. 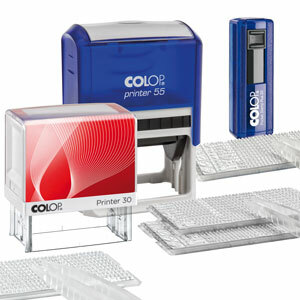 Print without labels using Electric stamps - prints on most surfaces. Colop self assembly stamps combine the advantages of self inking stamps with the ability to set and create your message, invitations, addresses and more. Letters are 3.5 mm high. Sets include pictograms and symbols.